President, Fox Residential Group, Inc. In 1989, Barbara Fox created Fox Residential Group as a boutique real estate firm specializing in the sale of Manhattan's most upscale residential properties. Beginning with four brokers in an Upper East Side townhouse, Fox Residential Group currently has 50 brokers, assisting buyers and sellers in all areas and boroughs of New York City and southern Westchester County. Prior to founding of her own firm, Barbara established herself as one of New York's most prominent real estate brokers and managers, having created a residential division for a large commercial real estate firm. Barbara provides expert guidance to clients based on her unrivaled knowledge of Manhattan's housing inventory and in-depth understanding of shifting market conditions. She has successfully completed transactions in countless buildings on Fifth Avenue, Park Avenue, and Central Park West. Unlike many of the city's top agents, Barbara personally handles every detail of her exclusive listings and her business is largely comprised of returning clients and word-of-mouth referrals. Barbara is recognized across the industry for her savvy negotiating skills and expert navigation of the condo and co-op board application process in New York's most sought-after buildings. She finds her greatest joy in supporting and guiding her clients as well as her firm's many agents through complex transactions to ensure a successful conclusion. In addition to her success in listing and selling properties and running her company, Barbara still finds time to be an active member of the industry's trade organization, the Real Estate Board of New York. Barbara has served on REBNY's Board of Governors and now serves on the organization's Residential Board of Directors and chairs its Deal of the Year Gala Committee, the residential industry's main fundraising effort. 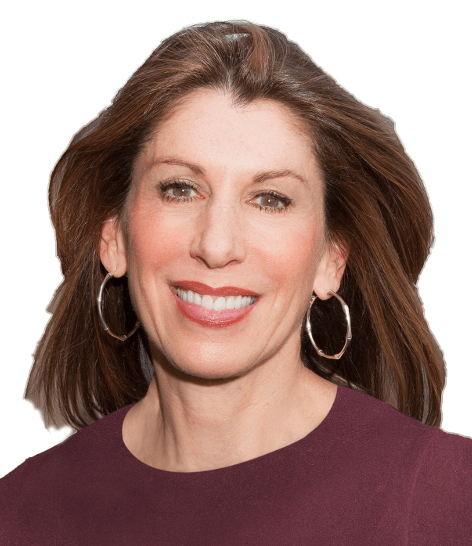 She was recently appointed to the Board of Advisors of NYRS, the certification program that recognizes top NYC residential real estate brokers with the highest professional credentials. In 1997, Barbara was honored as the recipient of the Henry Forster Memorial Award for an outstanding record of achievement in residential real estate. In 2015, she received the Real Estate Board of New York's Kenneth R. Gerrety Humanitarian Award. A North Carolina native, Barbara resides on the Upper East Side of Manhattan with her husband, James Freund, a retired Skadden Arps senior partner, and a menagerie of dogs and cats. She is the founder of WOOF! Dog Rescue, a nonprofit organization which saves between 30 and 50 homeless dogs and cats from the New York City shelter system each year and then finds permanent, loving homes for these animals. On weekends and vacations, she enjoys tennis, sculpting and skiing. Tell me a little about yourself and what you're looking for.